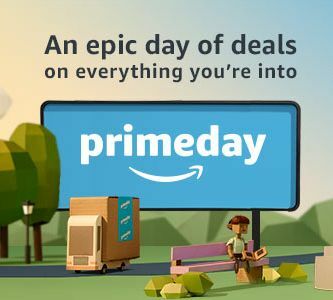 Amazon's third annual Prime Day will take place July 11th, but the annual deals event exclusively for Prime members has a few changes this year. Starting July 5th, Prime members can visit Amazon.com/primeday to stream daily videos that countdown to Prime Day and beforehand Amazon is offering insider tips in its Prime Day Insider Guide. Watch A Deal – Under “Today’s Deals,” shoppers can click “Upcoming” to view all deals 24 hours before they are live, and then tap “Watch this deal.” The app will alert them when that deal is starting. Shop and compare –Shoppers can tap, hold and drag to "Your List" to directly compare items from their tray and check out. Track your package – Shipment notifications let shoppers know when deals are on the way and when they have been delivered. While Prime Day will likely be a success for Amazon, e-commerce retailers can piggyback off the day and create their own sales this week. “Whether you love or hate Amazon, there’s no denying its formative influence in retail and its wide-spread success with Amazon Prime Day," says Michael Ross, chief data scientist and co-founder of DynamicAction. "During Prime Day, consider the following, this will be a day when a vast majority of consumers’ attention will be heightened and expecting to find a sale no matter where they turn to. According to a report from ClickZ, during the first Amazon Prime Day, it created a halo effect for other retailers, with online traffic increasing by an average of 21% on Prime Day (July 15, 2015). Conversions also rose on average by 57%. Wednesdays are not typically high-traffic and conversion days for e-commerce sites, yet Prime Day was significantly higher. "To maximize your retail operations during Prime Day, look to take part of the Amazonhalo effect by providing your customers with very targeted offerings and promotional campaigns that essentially focus on driving profitability for your business," he suggests. Tushar Patel, CMO, Kibo, says that while he expects blanket discounts on overstocked and slightly dated electronics during Prime Day, each consumer’s actual wants and needs can't be lumped into Prime Day discounts for the masses. He also advises retailers take advantage of personalization to cash in on Prime Day. "Amazon notoriously does a poor job with product recommendations," notes Patel. "Retailers need to ramp up their personalization game and provide a more engaging experience. Individualizing their customers’ experiences with personalization technology backed by advanced machine learning algorithms can provide relevance at scale, and will increase conversion and create loyal customers. "The results of individualization won’t disappoint," advises Patel. "Our data tells us that personalized promotions on a homepage influences 85% of consumers to complete their purchase, and that recommendations based on their preferences influences 44% of consumers to complete their purchase. Furthermore, 92% of consumers are influenced by product recommendations in a cart when completing a purchase." Paul Milner, marketing manager, Displaydata agrees that shoppers will be seeking sales this week. “We know now from experience that the industry shouldn't count on shoppers only cruising on Amazon’s site," says Milner. "We've seen in the past two years that consumers are giving other retailers a chance to offer them Prime-like deals come mid-July. Knowing this, we believe that even brick and mortar retailers can easily bring in shoppers who are looking for highly-coveted merchandise at the best prices." When targeting shoppers during this week, retailers may want to hone in on Generation Z, which may be more likely to sit out Prime Day, with 31% reporting they shop at non-Amazon retailers because they enjoy the in-store shopping experience, more than any other generation, according to A Marketer’s Guide to Reaching the Generations, millennials are more likely than any generation to have made a purchase on Amazon in the past month (79%), touting its Prime benefits as the reason for doing so. For Seven Tips on Targeting Generation Z click here for our feature article of the month. However, while retailers may be able to capitalize on the day with their own promotions and personalization methods, Adrien Nussenbaum, U.S. CEO and co-founder, Mirakl, says Amazon's marketplace sellers may not be thrilled about the yearly sale. “With all this excitement, there’s a group getting left in the dust on Prime Day: marketplace sellers," says Nussenbaum. "Amazon Prime Day is frankly about optimizing Amazon's value chain, not about creating more opportunities for marketplace sellers — explaining why these sellers only saw a small increase in sales on Prime Day 2016 (compared to Amazon’s overall 60% increase).